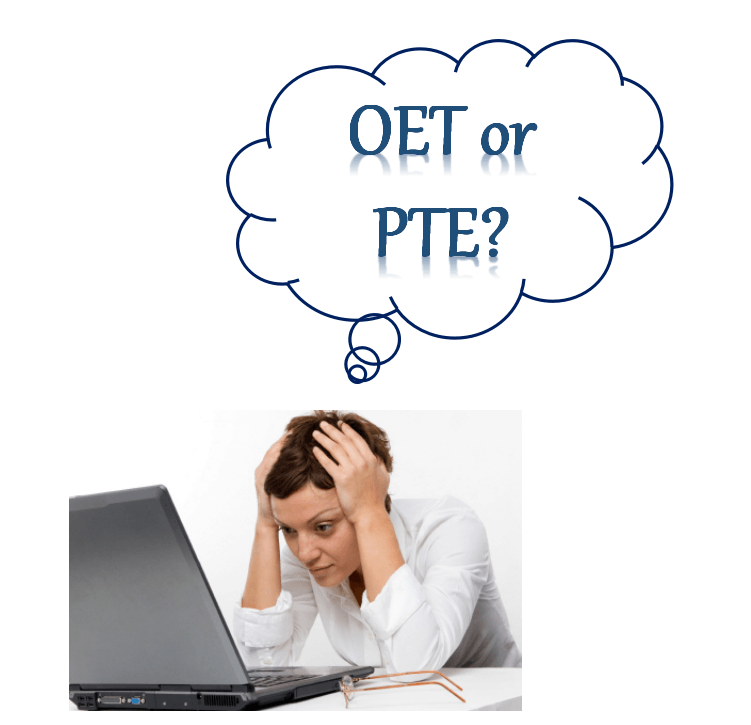 OET vs PTE, What to Choose? “OET or PTE?” This is a frequent question we often hear among students in the health care sector, especially the nursing students. Don’t you wish it was easier to make this decision? Well, life is hard and decisions are complex. So let us help you by breaking it down for you. Students in the health care sector have a test system called The Occupational English Test (OET) which assesses the language communication skills of health care professionals who wish to register and practice in an English-speaking environment. This test is also used for migration. Alternatively, The Pearson Test of English Academic (PTE) is a well-known option for students who want to immigrate to Australia with Skilled Independent visa. How would you know if you have made a smart decision? Here is a table which compares OET and PTE on the basis of different factors. You can compare for yourself and make an informed decision. The table above provides general information about OET and PTE. Furthermore, if you look at the content of both these tests, you will observe that PTE is more basic and focuses on day-to-day English communication, while OET has a more professional approach with focus on communication in a health clinic or other relevant working environment. Therefore, it is difficult to get high scores in OET as compared to PTE. Hence, from the given information, it is established that choosing PTE is more feasible and guarantees a higher success rate. What are you waiting for? Book a FREE Trial Class at Sydney PTE Academy and get help from our highly qualified and experienced tutors today! !